Since I became addicted to watches around the turn of the millennium I spent a lot of time perusing watch forums and sites dedicated to watch reviews. I picked up a lot of useful, if not expert-grade or properly structured information along the way. One thing I found myself increasingly interested in were in-depth comparisons of watch A vs. watch B. This is not to say that standalone watch reviews don't have their merits or place. They certainly provide a lot of useful information and quite good live pictures of new models, providing potential buyers with generally unbiased opinions. The reason I find comparisons more interesting is that if you are curious about a watch, chances are you already might own a similarly priced/specified model from another manufacturer, thus delivering the information on the other watch in a more meaningful context. So I decided to use my admittedly modest knowledge to give you one such comparison, should you care to read it. 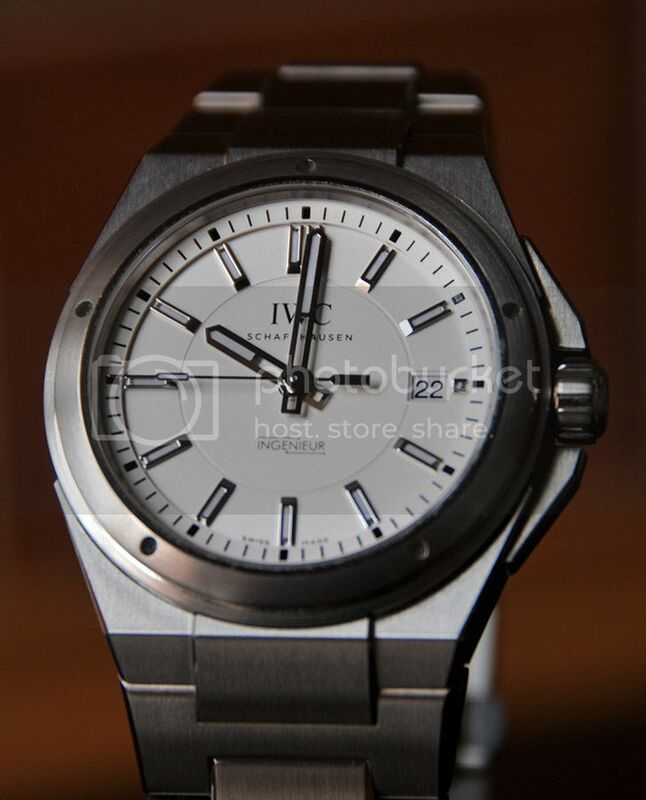 The first contestant is the IWC Ingenieur 3239, arguably the star of the Schaffhausen-based watch company's new Ingenieur line introduced this (2013) spring. The identity of the second contestant might come as a surprise, but bear with me until I explain my reasons. Are you still here? Great. 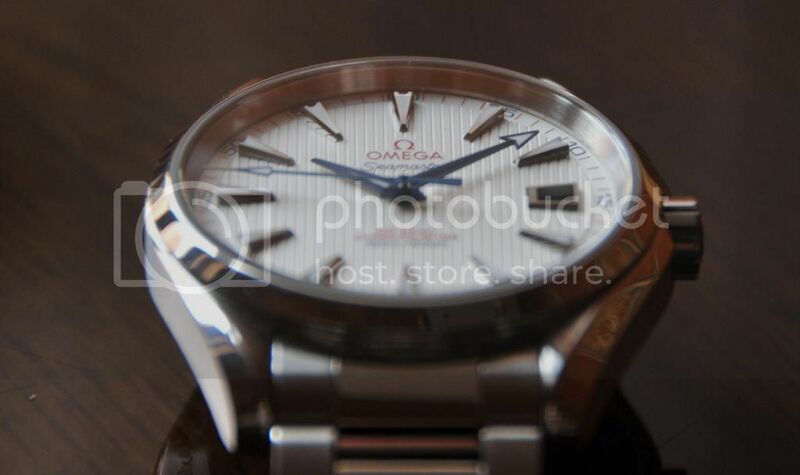 It is the Omega Aqua Terra, 41.5mm version with the 8500 movement. So, why the Aqua Terra? Well, first of all, these watches come from manufacturers with roughly the same pedigree and both are part of a larger group: Richemont for IWC and Swatch for Omega. Second, these watches were both created and are indeed perceived as go-anywhere, do-anything watches, also often referred to as beach-to-boardroom. 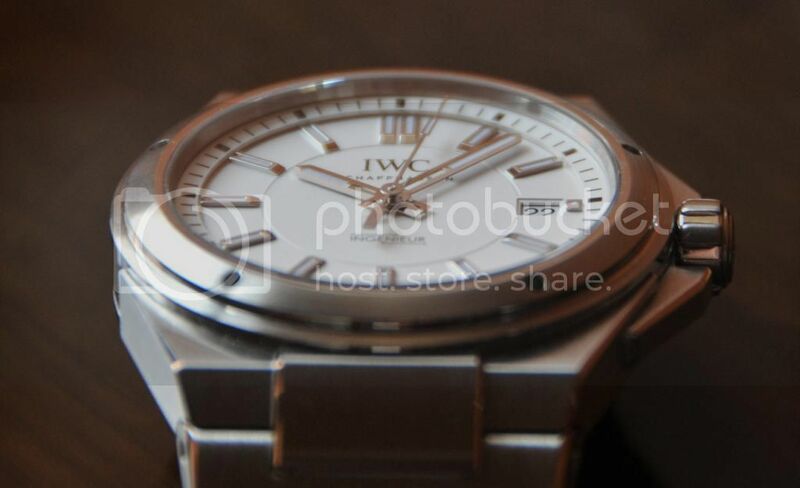 Third, their MSRPs are in the same ballpark, with the IWC maybe 15% more expensive. Fourth, they are also quite similar in size. The IWC has a 1.5mm smaller measured diameter, but it also has crown guards, which make the wrist presence almost identical. That is except for the thickness, but more on that later. The particular AT in this comparison is the Captain's Watch. Ideally, it should have been the standard white dial version, but I currently don't own one of those. I will not, as others do, give grades to the different aspects of these watches as cumulated scores may have some indicative value, but everyone's weighting of these aspects is different, so even if someone were to agree with my assessments, their final score may be quite different. I will, however, pronounce a winner under each heading, however presumptuous that may sound - for both your benefit and my delight. Honestly, I only included this heading because all comprehensive watch reviews start with the packaging and I didn't want to short-change you, Dear Reader. I have little to say other than that both packages are up to their respective companies' standards for their cheap(er), non-limited editions. They both serve their purpose in providing ample protection during shipping and offer a measure of presentation while in the home. Imitation leather on cardboard for Omega and synthetic-coated wood for IWC, but IWC's box is a touch more classy and feels sturdier, although I presume that under heavy stress none would perform significantly better than the other. You get the compulsory booklets and warranty card, but no COSC chronometer certificate. Omega only provides one on request, while IWC's own quality standards exceed those of the august Contrôle Officiel Suisse des Chronomètres, hence they have not a single officially certified chronometer and even fewer Officially Certified Superlative Chronometers, whatever "superlative" may mean. Sorry, I just couldn't resist the temptation. Both dials are white, although Omega calls theirs "opaline silver". Bulgari and Cartier are two other offenders who do the same, but for me they are all white. The hour indices are applied in both cases, the Omega ones being white gold, whereas IWC does not say anything about the material. The difference is that Omega's indices are arrow shaped, rhyming with the arrowhead of the minute hand. The hour hand, however, has its head missing which takes some getting used to, but it's not the only Omega so configured. I suppose Omega considers this part of their heritage. It does certainly set apart the AT's looks, as does the vertically grooved teak dial, which can look dramatically different depending on the angle of the incident light. My only gripe with this dial is the abundance of text - six lines, if you count in the Omega logo. It certainly is an interesting dial, and I often find myself looking at the dial for no good reason other than its beauty. IWC went for a much more austere - some might even say boring - look, with square hour markers and fence post hands, with both the indices and the hands polished to an impeccable mirror finish. The dial is a stepped one, giving it some welcome depth. The amount of text on the dial is just what it should be: manufacturer and hometown at 12 o'clock and model at 6. I'm in the camp which says the less writing on the dial the better (e.g. Patek Philippe - Geneve) but in this case one can't ask IWC to just drop the distinctive INGENIEUR intersected with a lightning bolt (reference to its anti-magnetic properties). After all, it has been around since the first IWC wash launched in 1955. The most important aspect under this heading must be legibility. In that, both watches are about as good you can get. The IWC hands throw off light to achieve this, while the shiny navy blue hands of the Omega ensure contrast with the dial well into dusk. Luminosity is poor to disappointing in both cases. After about an hour in the dark, both are practically useless. The Ingenieur's green lume is all but gone, while Omega outright mocks you with the blue lume still clearly visible on the hour markers but none left on the hands. When the Ingenieur 3239 was unveiled, many saluted it as a return to the third-generation Ingenieur designed by the deservedly famous Gerald Genta and released in 1976, in an era known (at least for the Swiss watch industry) as the "quartz crisis". I beg to differ. The case of Genta's Ingenieur had no sharp edges, it was, from case through lugs to bracelet almost like something organically grown, rather than engineered. It had baton hands, restrained hour indices and a quiet elegance belying its tool watch nature. 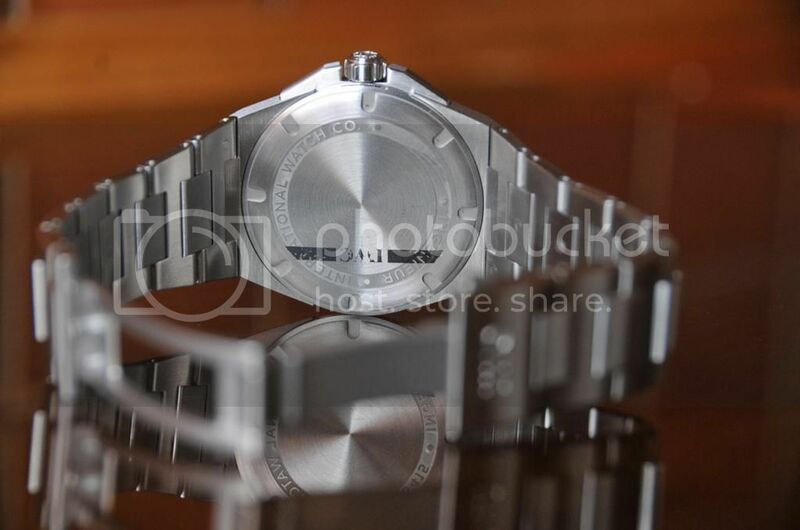 The model change in 2005 was a pronounced departure towards a more angular, Royal Oak-like case. Although it retained the five holes in the bezel as a design cue, they no longer served any purpose: Genta's Ingenieur had a screwed-in bezel, hence the need for the holes. The 2013 has also retained the holes as a vestigial trait: they are about as useful as the hind leg bones of a whale. The angular crown guards add another element of sharpness. Having said all that, the overall style of the watch, regardless of how much or how little, in fact, it resembles the Ingenieur SL, has a coherent language, more angular but still restrained elegance and exudes the Germanic no-nonsense functionality for which IWC's best, post-quartz-crisis era models are known for. The Aqua Terra also builds on various design elements borrowed from Omegas of yore, adding some fresh ones like the vertical grooves of the dial and the trapezoidal date window. I'm not saying that these elements don't work well together, it's just that the watch - especially compared with the Ingenieur - gives the impression of something put together by a design committee which was tasked to create a crowd-pleaser that is a dress, sports and dive watch rolled into one. 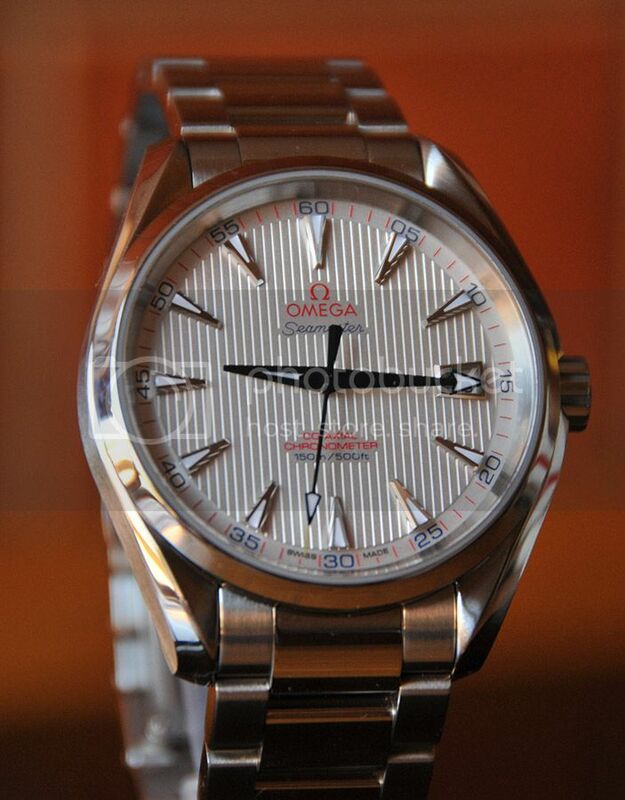 To Omega's credit, they did indeed reach their goal: while I don't have production figures available, I believe it is at least their second most popular current model after the Planet Ocean, if not the most popular one. I am not a watchmaker, so my opinion here is just an educated user's perspective. The Aqua Terra has the by now tried-and-tested 8500 movement. It boasts a significantly longer power reserve (see table above), which means that if you put the watch down on Friday evening, it will still be ticking come Monday morning. The Ingenieur has a very capable and robust ETA 2892-A2 movement, which has the decided advantage that any competent watchmaker would probably be able to service it for much less than what an Omega-certified service centre would charge for the 8500. It is, as far as I know, reworked by IWC, but I had no means to determine nor does IWC reveal how extensive that work is. In terms of out-of-the-box accuracy, IWC has an excellent track record, but in the past decade or so Omega has overall pretty much caught up with them and numerous anecdotal evidence and my personal experience shows that their 8500 movement has outstanding long-term stability. Keep in mind though that we are probably splitting hairs here, the difference in long-term accuracy being maybe a few seconds better for Omega, provided that both movements are properly regulated. The Omega also has the convenience of an independently settable hour hand, making time zone adjustments easier, at the loss of the quick-set date. Finally, we come to the thorny issue of in-house versus outsourced movements. Whatever your personal opinion may be, it is a fact that IWC does not have an in-house movement that would fit into the Ingenieur's fairly slim case. Then again, Omega's 8500 movement would not fit into a reasonably water resistant and otherwise robust 10mm case either. On the OEM bracelets both watches show the same amount of versatility, with the Ingenieur a bit more capable towards the dressy end of the spectrum, mainly due to its slimmer profile. The black dial version not discussed here would cover the same spectrum width, shifted a tiny bit towards formal. The Aqua Terra, on account of its bolder design has a slight advantage at the sporty end of the spectrum. But once you start looking at other straps/bracelets, the picture does change quite significantly. IWC has the notable advantage of its proprietary bracelet quick-change system*, making the change easy and painless using just a pair of toothpicks. IWC does include two brass pins for that purpose, but I just use toothpicks - they are almost always at hand and make the whole thing even more fun. However, this very system means that the owner is limited to the strap options offered by the manufacturer. In our case, at the time of writing (October 2013), that is one black rubber strap with a pin buckle. It would be nice to have the choice of least one canvas/kevlar and one leather strap. The Aqua Terra has a standard lug width of 20mm and a large selection of OEM straps and bracelets, be it for this particular model or other Omega models. And there are of course the almost endless choices offered by third-party strap/bracelet manufacturers. You may or may not have noticed, but so far, based on eight criteria, the points race is a draw. That was by no means intentional, I just counted the points myself while writing this paragraph. If anyone asked me which of these two watches to buy as a do-it-all piece, based on an objective assessment of functions, features and value for money, I would almost certainly suggest the Omega Aqua Terra . But... Yes, there's always a but, isn't there? 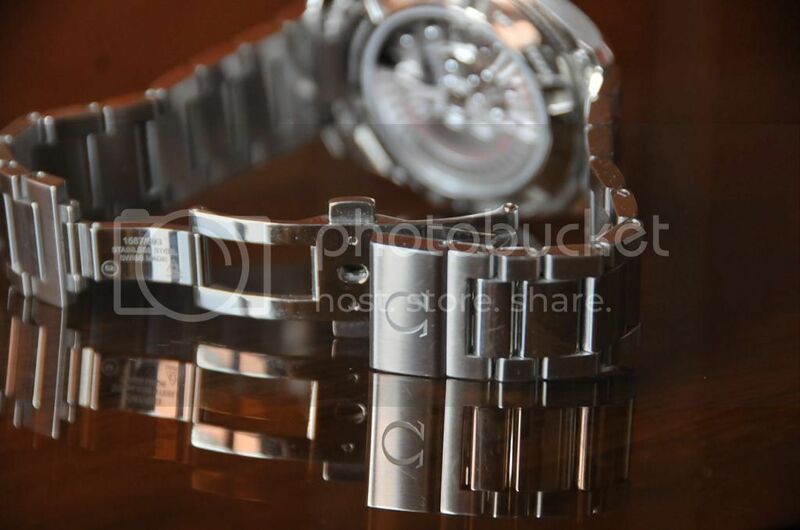 At any given time, my watch collection consists of six to ten pieces, with a clear preference for sporty steel watches. Once a year at the annual State of the Collection navel-gazing - or sometimes more than once a year, depending on how fast my collection changes - I play a little solitary game of culling, determining which watches would go and in what order if I wanted or would be forced to downsize. If the two remaining ones would be the Aqua Terra and the Ingenieur, the subjective choice would be the Ingenieur, on account of its design, wearability, versatility and overall appeal.